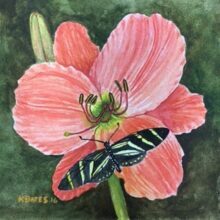 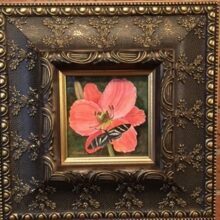 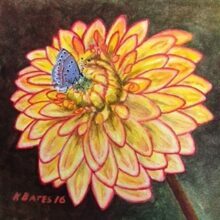 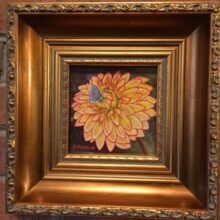 Original watercolor of a Peach Daylily with Zebra Butterfly on illustration board in an Antiqued Gold Frame. 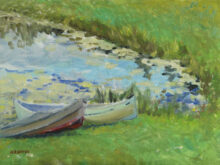 Two small boats await the next adventure by a farm family’s pond. 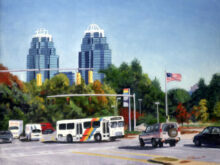 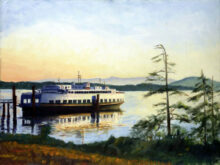 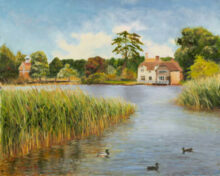 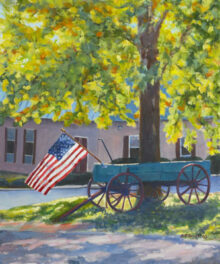 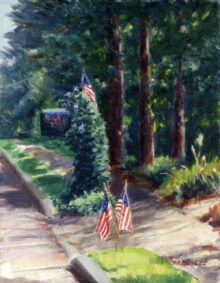 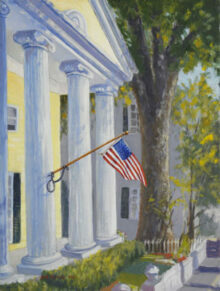 This is an example of “a la prima” plein air painting in that it was done on site in a single session. 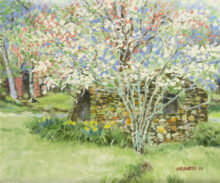 Dry grass, goldenrod and a touch of color in the sumac and the trees signals the transition from late summer into fall in the northeast Georgia mountains. 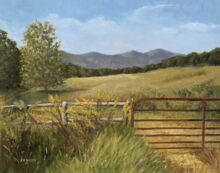 I love the weedy foreground against the weathered fence and iron pasture gate. 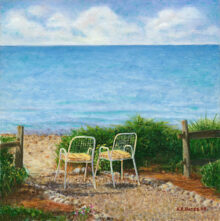 Two chairs in a seaside garden beckon with a refreshing view.